The speed at which this EP has arrived can be seen as very telling. After all, Going Grey was only released in October and saw The Front Bottoms feel the full brunt of Fueled By Ramen’s wing, gentrifying their rustic, intelligent indie-rock with a slick, high-quality production job that did it no favours. That seemed to be something of a common gripe too, and so the duo could be looking to do some reputation repair with Ann, the second in their Grandma series of EPs that brings together reworkings and new versions of some of their earliest tracks. And right away, this is already a considerable improvement, stripping away the gooey electronic add-ons that weighted down Going Grey and returning to the smart, ground-level folk-punk that made their earlier material so ear-catching. The scruffier, rougher production always sounds so much better against Brian Sella’s impenetrably thick vocals, and more natural instrumental additions like the violins on Today Is Not Real or the horns on Somebody Else feel there out of necessity rather than the pressure to be trendy. It’s just generally a more easy-going, energetic listen than Going Grey ever was, dominated by rubbery acoustic grooves on Pale Beneath The Tan (Squeeze) and Lonely Eyes, and a far more likable, upbeat presentation to clash with the darkness in Sella’s lyrics. And it is definitely a clash, so much so that it can feel a bit uneven, though detailed enough to never be fragmented. It helps that Sella is as quick-witted in his writing as he is, something that’s not been toned down even slightly here, as he straddles the thin line between depression and happiness on Today Is Not Real and Somebody Else, the effects it’s had on past relationships on I Think Your Nose Is Bleeding, and how self-medication has manifested itself years later on Tie Dye Dragon. It’s hardly revelatory and has been explored deeper before, even by the duo themselves, but the fact that this is the extent they’ve gone to on what is, for all intents and purposes, a stopgap EP shows the willingness to right so much of what they got wrong last time, and how well it’s actually going for them. Because make no mistake, Ann is a gigantic step back in the right direction, and suggests that everything that was so shaky on Going Grey was little more than a fluke instead of a new constant. As far as a smart, easily-digestible release goes, there’s a lot to like here, even it can feel a little slight and asking for a bit more to really flesh it out. That’s ultimately nickpicking though; at the end of the day, there’s more confidence that what The Front Bottoms will do next will be great than whatever their last album suggested. 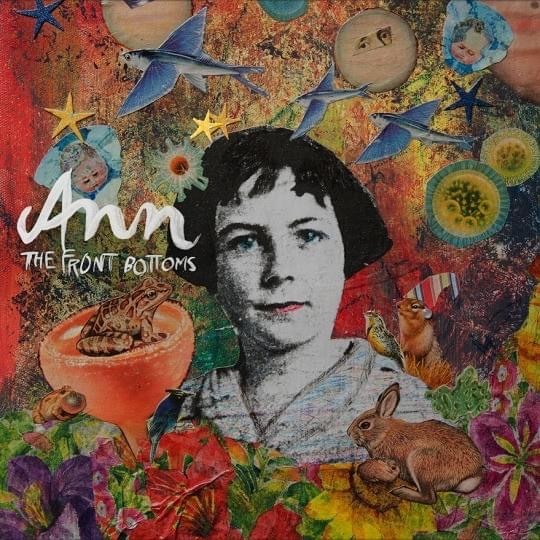 ‘Ann’ by The Front Bottoms is out now on Fueled By Ramen.